Because all runners' bodies don't look the same. The August 2015 issue of Women's Running magazine not only made history, but it set an important standard for how we see athletic bodies. 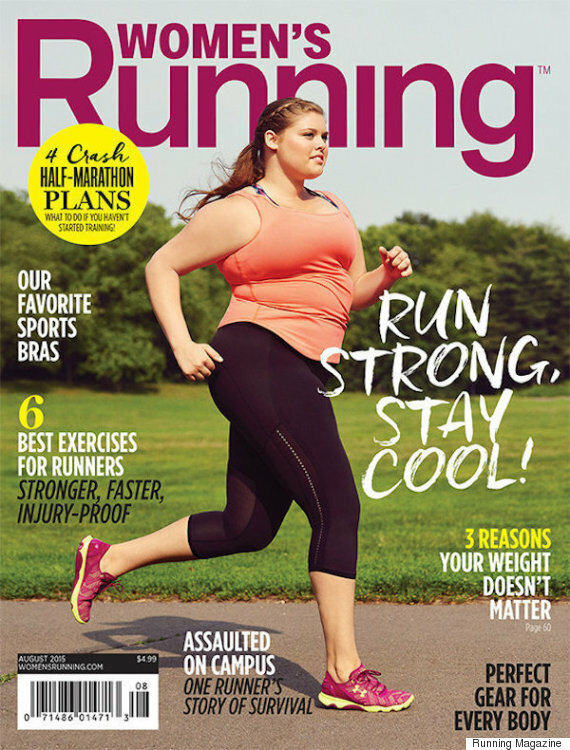 The magazine featured 18-year-old plus size model Erica Schenk on their cover, as well as a spread about how weight is often irrelevant when it comes to running. "It’s important to remember that runners come in all sizes — and healthy does too. You look fast when you’re striding down the street at top speed," editor Jessica Sebor wrote on the magazine's site. "You look fit when you’re holding a plank with perfect form. You look healthy when you’re making the best decisions for your mind, body and spirit." Not only does a cover like this one bring up important issues of body image — especially when a runner's body is often described as thin — it also celebrates how comfortable you can and should be with your own skin. “I love how the image shows a thick-thighed woman who is proud of her body,” Schenk told E! News. "At first it made me a bit uncomfortable but then I had to realize I can't help other women accept who they are without doing the same for myself." The cover received tons of praise from users on social media, and we're excited to see what will follow. Watch the video above to find out why a cover like this one can have such a huge impact on runners of all shapes and sizes.